Conflict Resolution, Knots and Artwork in the Nordic Countries. Nordic Tour 2014 starts this evening at a meeting in Denmark. 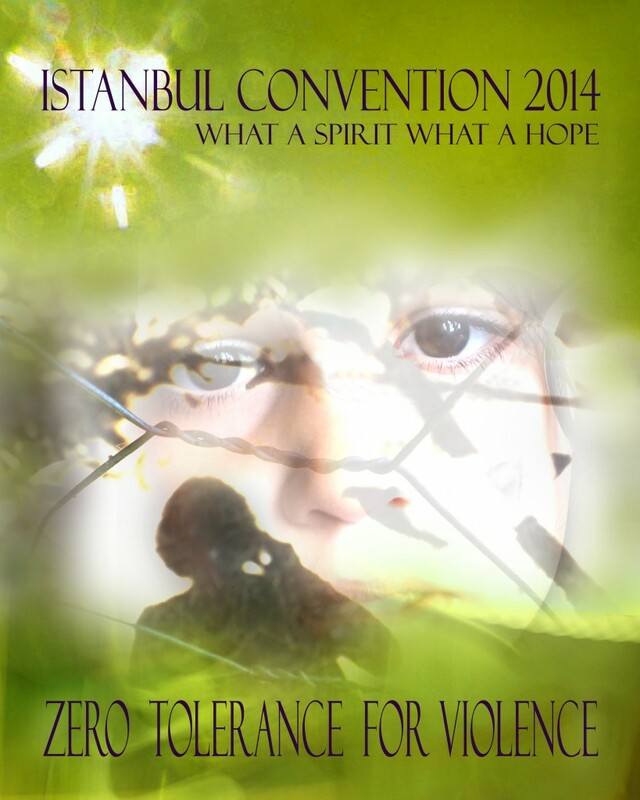 The three activists and professionals travel the Nordic Countries during the next 10 days. She is backed up by the head of the Nordic section, Asger Ryhl. The group behind the Nordic tour initiative is Barnets Tarv NU that has advocated for a new Act concerning custody, residence and visitation in Denmark. They want to gather experiences in the Nordic countries to see if the UN’s ambition in this field can be accomplished. Denmark was severely criticized in an EU fact-finding paper this year. Now when the Istanbul convention – the Council of Europe Convention on preventing and combating violence against women and domestic violence – has entered into force from the 1st of August, the Danish state has to take action. The Bar and Law Society has stated that they have no resources to look into the matter for the time being. Dette indlæg blev udgivet i 02. Pressemeddelelser og tagget Asger Ryhl, Barnets Tarv Nu, Istanbul Convention, Phumzile Mlambo-Ngcuka, UN Women den 1. februar 2015 af admin. 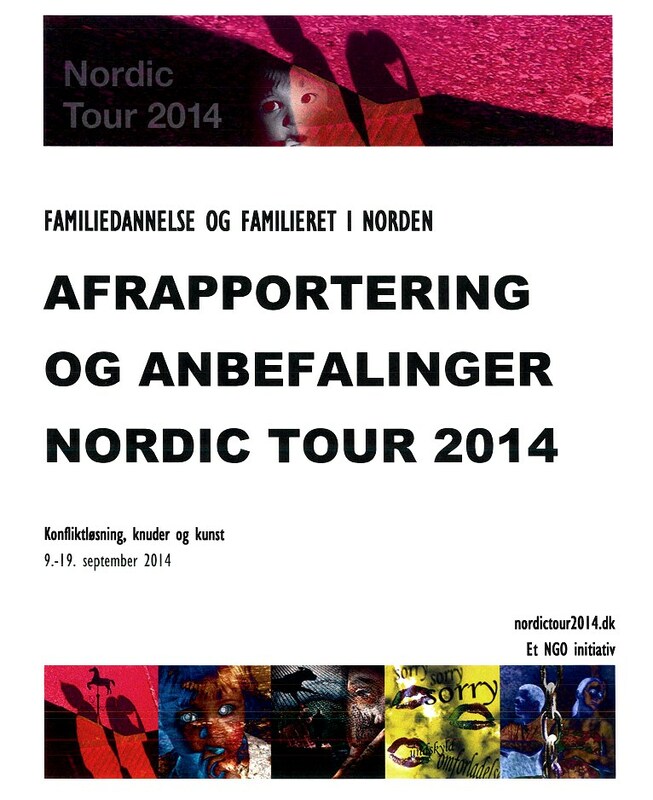 The Nordic Tour 2014 – “Conflict resolution, knots and artwork” (9th to the 19th of September) is about to come to an end. Much needs to be changed for the Nordic countries to live up to the Istanbul Convention on Violence Against Women and Children, which was enforced on August 1st this year. The three investigators will send their report in pictures and words to the Administrative Director of the UN section for the Equality and Empowerment of Women, Phumzile Mlambo-Ngcuka, and to the Nordic division, which is lead by Asger Ryhl. It is anticipated that they will develop further initiatives to ensure that policies and practices in the Nordic countries lead to zero tolerance for violence against women and children. The three investigators thank the Dreyer Foundation and the National Organisation of Women’s Shelters in Denmark – LOKK – for having made the Nordic Tour 2014 possible by offering various kinds of support. Dette indlæg blev udgivet i 02. Pressemeddelelser den 30. januar 2015 af admin. Istanbul konventionen – Europarådets konvention til forebyggelse og bekæmpelse af vold mod kvinder og vold i hjemmet – et nyt værktøj mod vold! Europarådets konvention til forebyggelse og bekæmpelse af vold mod kvinder og vold i hjemmet, også kendt som “Istanbul konventionen” trådte i kraft den 1. august 2014. Nedenfor ses organisationen WAVE’s pressemeddelelse i den sammenhæng. Dette indlæg blev udgivet i 02. Pressemeddelelser den 15. august 2014 af Pia Deleuran.